$40,200 Coachella Classic FEI CSI3*! 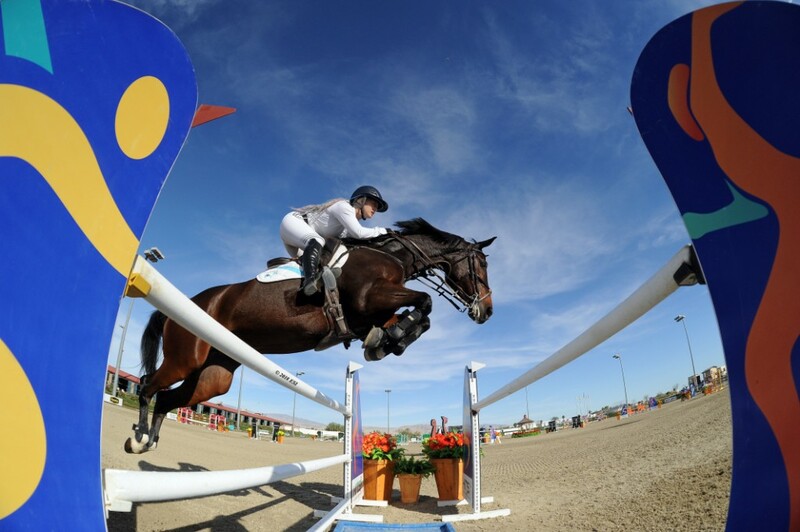 Stay tuned as the FEI CSI3* Division at National Sunshine I continues today with the $100,000 Coachella Grand Prix! 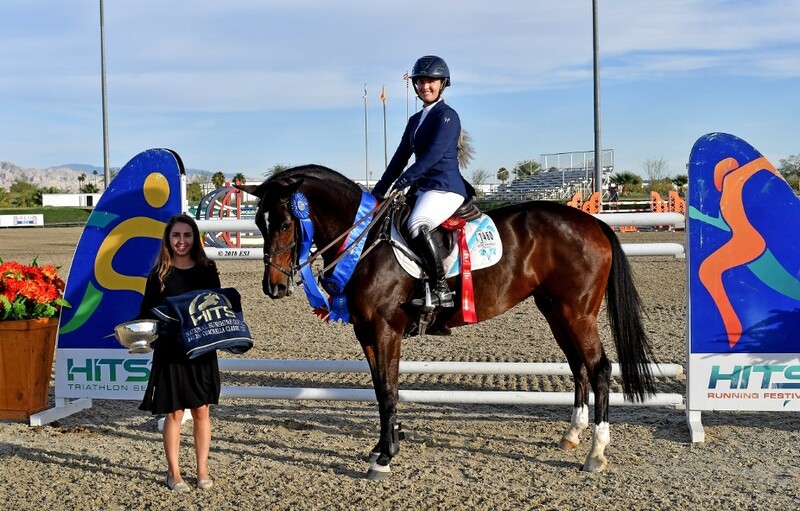 It was another beautiful day at the AON HITS Desert horse Park where high performance riders joined us for the $40,200 Coachella Classic, the second class of the FEI CSI3* Division, at National Sunshine I. The field was stacked with 36 competitors all in the hunt for the blue ribbon and lion's share of the prize money. Four riders made it through the first round without faults and returned to challenge the shortened course. The first to return for the jump-off first was Mathis Schwentker aboard NKH CARRIDO. Schwentker would ride to a fourth place finish with an eight-fault time of 45.16. The second to return was Kristen VanderVeen aboard BULL RUN’S FAUSTINO DE TILI. This team would finish with a four-fault time of 41.60 and the yellow ribbon. The pressure was on for Ashlee Bond who had the last two to show in the jump-off. Bond, representing Israel, would jump clear on both her mounts for a one-two finish. Bond’s ride aboard CHELA LS in a fault free time of 43.64 was good enough for second place. “CHELA is 14 now. I’ve had her for a long time and I am just rebuilding her from WEG. Today in the first round was the first time I felt like I had put the pieces all back together. I was really, really proud of how she was, double clear and rode really well,” Bond said. The Winner’s Circle at the AON HITS Desert Horse Park is a familiar spot for Bond. 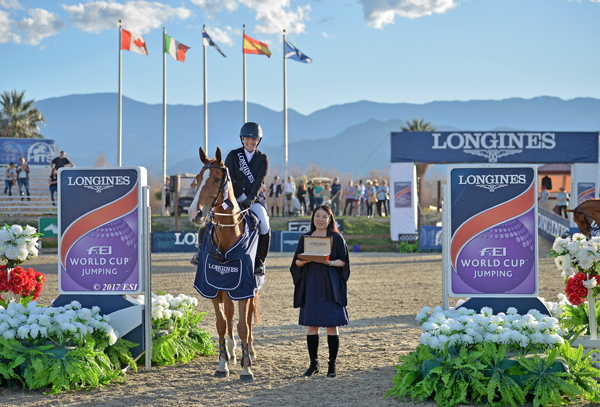 Along with a slew of Grand Prix titles from HITS Coachella and the HITS National Sunshine Series, Bond also won the $100,000 Longines FEI World CupTM Qualifier at the HITS Coachella Desert Circuit in 2017. Watch for CHELA LS and Bond in the final FEI class of National Sunshine I, tomorrow, and back again for the FEI CSI3*-W Division at National Sunshine II. Don't miss out as the excitement continues tomorrow! You can catch all the action live on Showhorse TV, then join us next week for the $100,000 Longines FEI Jumping World CupTM Qualifier. Stay up to date with all of the upcoming HITS events via Facebook, Twitter, Instagram, Snapchat, and HitsShows.com.